Take a look at the map below showing all the closed and pending bank closures throughout our operating area since 2015. What do I need to know about bank closures? We know that many of our customers rely on having a branch to have the full banking experience. 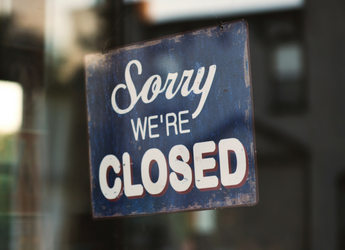 High street banks and building societies have closed their branches in many places within our operating area. Because of this, we are the last branch remaining in the following 9 places: Ambleside, Appleby, Aspatria, Brampton, Cleator Moor, Dalston, Egremont, Longtown and Silloth. Many more people are using online, telephone and mobile banking. According to industry experts, 65% of the population will use mobile banking to manage their current accounts in 5 years. As well as branches, The Cumberland has online banking, a mobile app, and a customer service team available 7 days a week. You can also find us on social media. In a recent survey by YouGov, 92% of Brits said they would still want a bank/building society branch on their high street. Many of the branch closures have been linked to a decrease in the amount of customers who use them. As these numbers decrease, more customers are now using mobile and online banking. Customers' banking habits are changing, and branches are needed by fewer and fewer customers. Looking to move your accounts? How do I switch my current account? To find out more, visit our switching page. I run a business and my branch is closing, what can I do? You'll still be able to use online banking to conduct your business transactions, but a few key features won't be available to you anymore which you'll probably need such as paying in cash/cheques or ordering change for your business. If you require these features for your business, it might be worth looking at a different current account. How do I apply for a current account? 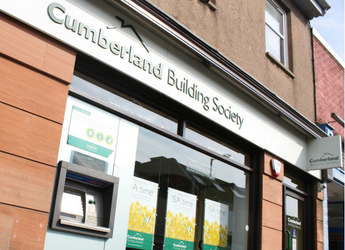 You can apply for our Cumberland Plus current account by either completing an online application, visiting one of our branches or you can arrange an appointment online for your local branch. If you choose to apply online with us, near the end of the application you'll be asked for your existing current account details. Do I need to tell my pension/employer that I'm changing banks? If you use our Current Account Switching Service we'll take care of telling your pension provider/current employer your new current account details and make sure these are paid into your new account, so that you won't need to do anything. Have The Cumberland closed any branches? We regularly review our figures and statistics about branch usage and whether the future of a branch is viable. What can I do on online banking? The majority of banks and building societies online banking facilities allow you to make and receive payments, set up regular payments as well as accurate balance updates amongst other things. Many customers who live within rural areas or small villages may not have access to high speed internet, and rely on going into their local branch to conduct their banking. If you need to pay cash into your account, you'd still need to go into your local branch to do this. What do your current accounts offer for online and mobile banking? Our online and mobile banking offer all of the features you'd expect from a high street bank, to see more of these features visit managing your current account. 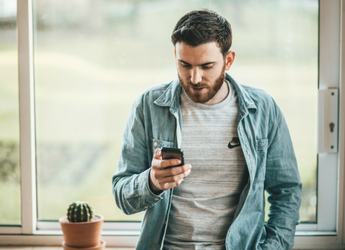 Our current accounts include the use of Pay2Mobile, which allows you to send up to £500 per day using your mobile number to any of your phone's contacts who are also registered for the service. This feature can be really useful if you aren't near a cash machine and you need to transfer money to a family member or friend. Many businesses value having a local branch to pay money in, conduct transactions, and speak face-to-face to staff. If you value this as well as having the digital options you need, you can switch your business banking and savings to The Cumberland.